Guestlist Radio is from one of Asia's hottest up and coming producers and DJs, Adam Sky. Featuring special guests such as Afrojack, MAKJ, R3HAB and Michael Woods, and unreleased tracks from labels all over the world. Guestlist Radio offers one of the freshest sounding podcasts around. A landmark show for Adam and Guestlist Radio! Episode 50 see's Adam welcome Tritonal to the show as-well as switching up the style moving forward! Big show this week with Adam dropping a work in progress remix on Oceanlab's 'Satellites'. Plus tracks from Armin van Buuren, Black Coffee, David Guetta, Danny Howard, CamelPhat & Cristoph plus many more! 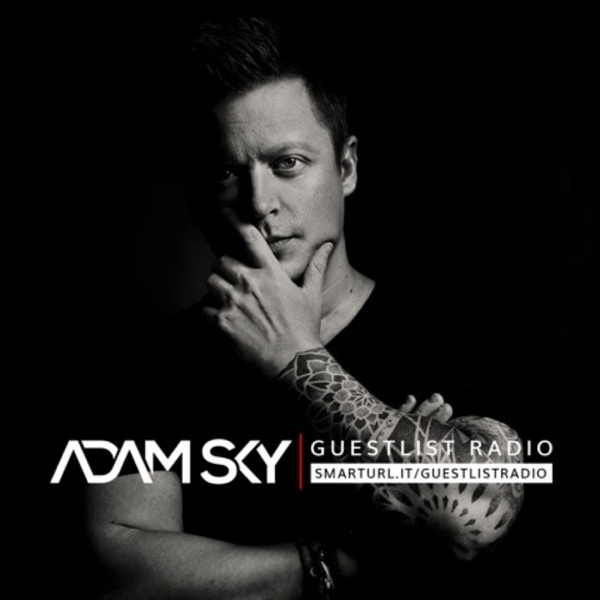 Tune into Guestlist Radio this week as Adam Sky recently picks up the No. 3 position in Asia's Top 20 DJ's! Adam takes control for the full 60 minutes this week with tracks from Tom Staar, Feenixpawl, Kryder, Jay Harway, plus many more! This week Adam welcomes Club Banditz to the show to drop one of their biggest tracks! A big show coming up this week with Adam welcoming Jay Hardway to the show for a 30 minute takeover! Adam's back with a fresh new episode this week, welcoming Dr. Shiver on The Guest Spot! Coming up on this week's show Adam welcomes heavyweight duo Lucas & Steve to the show! Up next on the Guestlist this week - Adam welcomes on fellow Aussies Feenixpawl. Luca Testa drops by this week and drops his latest release on Adam Sky's Guestlist Radio. On this week's episode Adam welcomes industry heavyweight Afrojack to stop by and drop his latest release 'Bringin It Back' on Wall Recordings. This month's show is a 2015 round up of all Adam Sky's tracks / remixes plus a mini mix of all the Guest Tracks of the year.